The B&G Versaduster 110V is designed for a wide variety of treatments requiring a power duster. This duster can be used with a wide variety of dusts or granulars. Typical uses range from bed bug treatments to cockroach treatments in commercial kitchens. 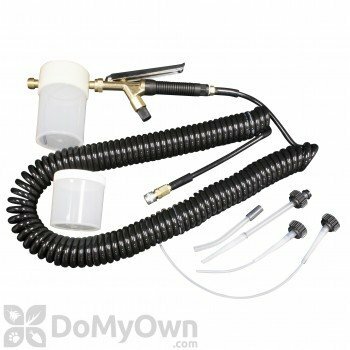 It can be used as a stand alone system with a portable compressor or as an attachment used with the compressors in the B&G Portable Aerosol System or of the VersaFoamer 4000 System.